When it comes to diabetes, medication and exercise equally play an important role in controlling the condition. Basically, there are 2 forms of diabetes; Type I diabetes and Type 2 diabetes. 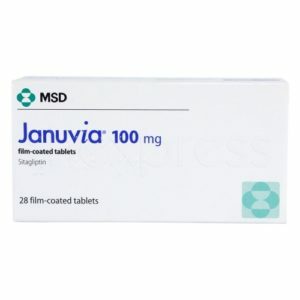 Janumet is an oral medication used to control symptoms associated with Type 2 diabetes. It is used to control Type 2 diabetes only, not Type 1 diabetes. 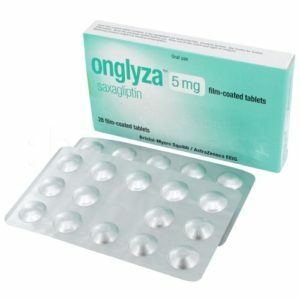 This medication contains diabetes drugs which help in controlling blood sugar levels. These are metformin and sitagliptin. Metformin is responsible for decreasing the production of glucose in the liver as well as decreasing glucose absorption by the intestines. Sitagliptin helps to regulate insulin levels produced after consuming food. In diabetic patients, the blood sugar level is usually high and causes symptoms like frequent urination, high levels of thirst and hunger followed by fatigue. Janumet contains two major ingredients namely sitagliptin and metformin. When janumet is taken, these ingredients react with the cells to control the sugar level. 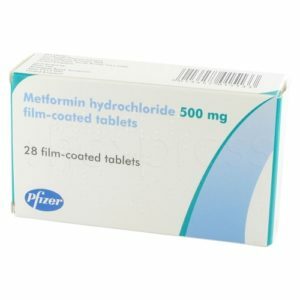 Metformin helps the liver cells to decrease the glucose production and also reacts with the intestinal cells to decrease the glucose absorption. Usually insulin production is triggered after a meal and sitagliptin helps in regulating it. Janumet along with regular exercises helps to control type 2 diabetes. How do I take Janumet? Janumet needs to be taken strictly as per the doctor’s instructions and the dose should never be increased or decreased. In case of an over dose it is highly advisable to seek medical assistance. Suppose a dose is skipped, it needs to be taken at the earliest and avoid it if it is time for the next dose. Food restrictions must be followed and alcohol consumption needs to be avoided. Fluctuations in sugar levels are common. Hence frequent checkups are necessary to check the blood sugar levels; in case you experience any signs of high or low blood sugar levels. Carrying a box of natural sugar sources such as fruit juice or hard candies helps in cases of low blood sugar levels. Janumet needs to be avoided in cases of metformin or sitagliptin allergies. In cases of diseases of liver, kidney and diabetic ketoacidosis, the treatment from a doctor is highly advisable. Treatment with metformin sometimes develops a condition of lactic acidosis and requires immediate medical attention before it gets fatal. In case of a CT scan or an X-ray involving injection of dye, the medication needs to be temporarily stopped. People with cardio vascular problems, pregnant ladies and people who consume alcohol need to consult the doctor before taking this medication. Can I buy Janumet online? Yes, you can get Janumet online by following a few simple steps. Take a few minutes of your time to fill out an online consultation form. Make sure that you include all the relevant medical details. A doctor will ensure that you are getting the correct medication for your condition before approving it. Once it has been approved, the pharmacy will send you the medication in 24 hours. I was diagnosed with Diabetes in February 2010 after I passed out in my office and my blood sugar taken at the time was 580. 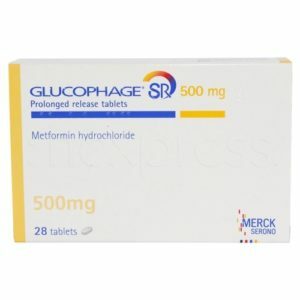 My doctor initially out me on Metformin but it was not controlling my blood sugar. He switched me to Janumet and now my reading are consistently in the 90’s and I have suffered no side effects. I started working out and eating nutritiously right after being diagnosed and I have dropped 100 lbs. I had frequent intestinal distress (and I mean distress). 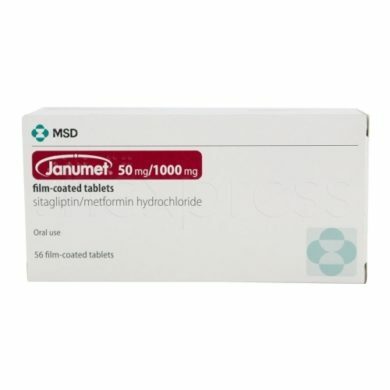 Janumet is a combination of Januvia and Metformin. I switched to two pills, Januvia and Metformin ER. ER stands for extended release. It may cost more this way, but it eliminated the problem. Those of you with a similar problem should talk to their doctor. Most don’t know that Janumet itself used the immediate release Metformin….which causes intestinal distress in many users. I have been taking Janumet for about one year now. I recently spent some time at the beach and noticed that every time I went to the beach I would experience a rash and itching on my face, chest, arms and back. The rash would last for about 24 hours. Otherwise, the Janumet has done a great job in controlling my blood sugars, much better now than with just the metformin alone. For many years, I had intestine cramps. I used to take medicines. By afternoon I used to again pain. Also cholesterol used to be high. Type 2: diabetic was identified. Since Nov 2013. I am using. Janumet 50/1000 bMy intestine aches zeroed. So is cholesterol. Levels. I feel good. I am very much satisfied on the progressive action of janumet50/1000, my sugar which was above fasting- 200& pp was 330, after taking janumet it came down to fp-96, pp-137…I take it twice a day, since my glucose levels are keeping normal ,will reduced the dose to 1500 per day. I was diagnosed with type 2 diabetes in November of 2015. So my doctor did a glucose test which was fasting for me and my number was 279 on a empty stomach. My A1c a day or so later I was at 13.2 my doctor has put me on janumet 50/500. I was at 203lbs before the diagnosis and now April 2016 I’m approximately 180 pounds. I was losing weight before the diagnosis due to diabetes but I guess now since I’ve been working out over a month and a half and my eating habits have changed I guess and with the medicine I’ve dropped more weight. I guess overall my blood sugars are a whole lot better than they were before. A few headaches here and there and nausea but not so much of that. The medicine is okay I just don’t want to lose anymore weight. I was taking FORXIGA for more then 3 months and my blood sugar after any meal was always around 180 -200. I was not happy, so I change doctor. She prescribed me JUNAMET, which I took for the first time this morning, after breakfast and my blood sugar is 126. I’m happy. Just started taking Janumet 1000 my yesterday. Luckily my daughter who studies Med at Uni read the instructions. I had a headache which she said was low blood sugar. After I ate something the headache disappeared. I have got severe diarrhea though both nights, OK in the morning??? I have been on Janumet 50-1000 for over 3 years. It is very expensive, but does lower my a1c. I also take glimepiride. About 3 months ago I went on a diet from 334lbs when my blood sugars and blood pressure were starting to get high. The diet helped tremendously in lowering both. BP is now 120/70 instead of 160/90 and my a1c last taken was 5.1 down from 7.6. I am concerned about the cost and I am starting to half-dose to 1 tab a day to extend my insurance coverage. The main reason is that I am continuing the diet for another 180-days and I am not eating that much. About 1600 calories a day. So far my BGLs have been a 100 or lower so I will wait and see. I have been taking Janumet 100/1000 (one tablet a day) till recently when the Doctor changed it to 50/1000 (2 pills a day). At first I had some issues but now that my body has gotten used to the drug I am fine. Morning fasting sugars went from 187 to 119 in just a few weeks. I went to enjoy my life and live a long life so I do what I need to do, I am to young to die, lose body parts or go blind. I am not overweight and I do watch my diet, sometimes the body just doesn’t get with the program and it needs outside help.